The Locked Room is an upcoming novel by mystery writer P.J. Bergman. The book brings the challenge and intrigue of the impossible crime genre to the modern audience with a contemporary setting and compelling anti-hero. 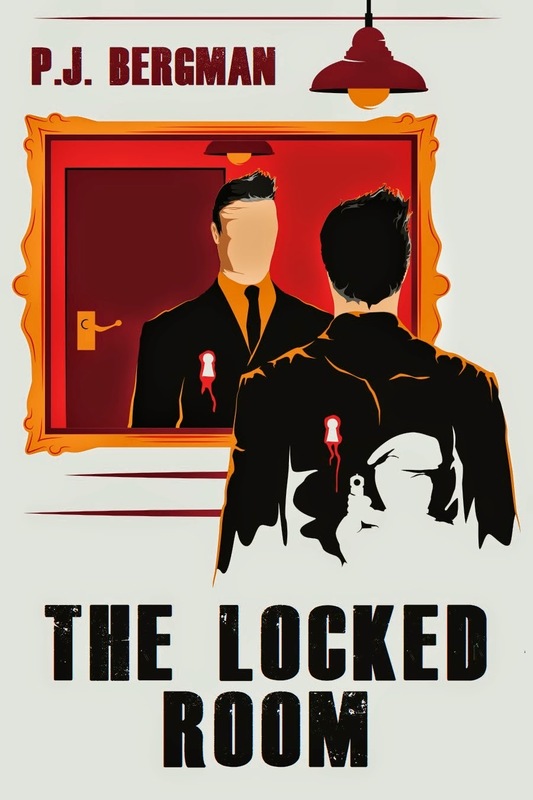 Inspired by the works of John Dickson Carr, Jacques Futrelle and Arthur Conan Doyle, The Locked Room fuses the complexity of a novel with the immediacy of short stories to provide eleven logic-defying mysteries that combine to form the overarching narrative. To receive an email when the full book is released please enter your details here. With no income and facing crippling medical bills, ex-military detective Kenneth Rhys reluctantly accepts a loan from his incendiary friend Mitchell. When Mitchell himself becomes indebted to the mob, Rhys is forced to utilize his skills as an investigator to try and urgently pay back the loan. Before receiving treatment at a local hospital a convicted felon manages to somehow disappear from two pairs of handcuffs. In a guarded room. While chemically sedated. Three teenagers drive into ‘Eloper’s Tunnel’ and are found dead almost two hundred miles away the following day. CCTV clearly records them entering the sealed tunnel but shows no sign of their exit. A man on the verge of death is murdered in his sleep. With no way of entering or exiting the room unnoticed it is up to Kenneth Rhys to discover how the act was done, and why someone would kill a dying man.